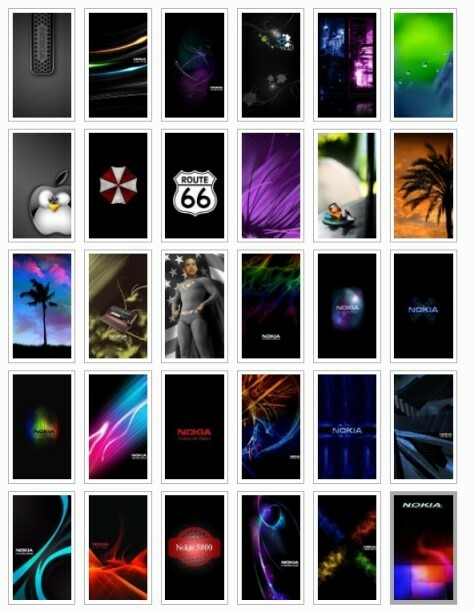 I seems boring to download each wallpaper individually, so here is a package with 450+ wallpapers all compatible with Nokia s60v5 Touch screen phones. I used to collect wallpapers for my Nokia 5230 But now i've switched to an iPhone and I don't need them, so i decided to give it away to people who use Nokia devices. Customize your Nokia device with these beautiful and stylish Wallpapers. The package contains more than 450 wallpapers. The wallpapers are of resolution 640 x 360, Compatible with devices 5800, 5230, 5233, 5235, 5530, X6 etc. Improve Nokia 5230, 5800, 5233 Camera.